Right now we are currently going through closets and boxes and cleaning out stuff and I feel very accomplished when another box is empty and another closet is cleaned. We also had some large bushes and trees removed yesterday that we have been needing to do for the last year or so. Even though I didn't do the work, I feel accomplished because we finally got it done. It looks so good too. It makes me very happy. Carol Burnett, because I love her and think she is so funny and it would be awesome to talk to her. Beth Moore, because I admire her love for Jesus and how she wants to help others learn about Him. Joan Lunden, because I just recently listened to her book and I would love to give her an opportunity to tell more people about her battle with breast cancer and because I would like to be able to compare our two stories and share with others to encourage them in their battle. No, I don't really have a special burger recipe. I like my burgers very simple with American Cheese, mayo and tomatoes. Probably doctor's visits. I have to do them quite often and I do get a little anxious. But I mostly try to just leave it all in Jesus hands. My plans are just to enjoy the summer as much as I can. I'll be working and won't be taking another week off until late August/early September. I'm just so thankful to be alive and feeling so much better than last year at this time. Hubby and I will probably do a lot of day trips on Saturdays and may make another run or two up to see our grandson. I need to get our camera pictures downloaded so I can show you some of the stuff we did last week on our Staycation. The only thing that wasn't too great about the weekend is I had to attend the Memorial Service for my Aunt who passed away 2 weeks ago. That was sad. But she was a sweet person and was ready to meet Jesus, so I know she's happy to not be suffering any more from cancer. Her husband, my dad's brother passed away one week later exactly. So we still have another service coming, but they plan to wait awhile. I can't imagine losing both my parents that quickly. Although, my parents died only about 7 months apart. I spent a lot of time reading and relaxing and playing on Instagram and FB and Words with Friends. We went out for lunch on Saturday, Sunday and Monday. We bought the flowers for the front of the house and have them out. I also bought 1 tomato plant and it already had about 4-6 tomatoes on it. That is the extent of my garden. haha We did some short trips and spent some time relaxing in some nice parks, reading and napping. Church on Sunday was excellent. Hubby taught us about the 5 events that will occur on the last day! I kinda hope I'm still alive to see it all (but not too soon, I want to see my grandson grow up!) Speaking of which, here is a picture from the other day. I'll tell you about that trip later. I hope you had a great weekend and are having a nice Tuesday. I'm so thankful for a week off of work. Hubby and I are taking day trips and having the best time just being together. Today's trip is a little longer though. We are heading up to see our daughter and grandson. I'm so excited and thankful to have this opportunity. We just crossed the border into Indiana. I can't wait to get my hands on that little boy. Hopefully I'll get the opportunity to tell about seeing them in a post with lots of pictures real soon. But right now I'm thankful to be on our way. 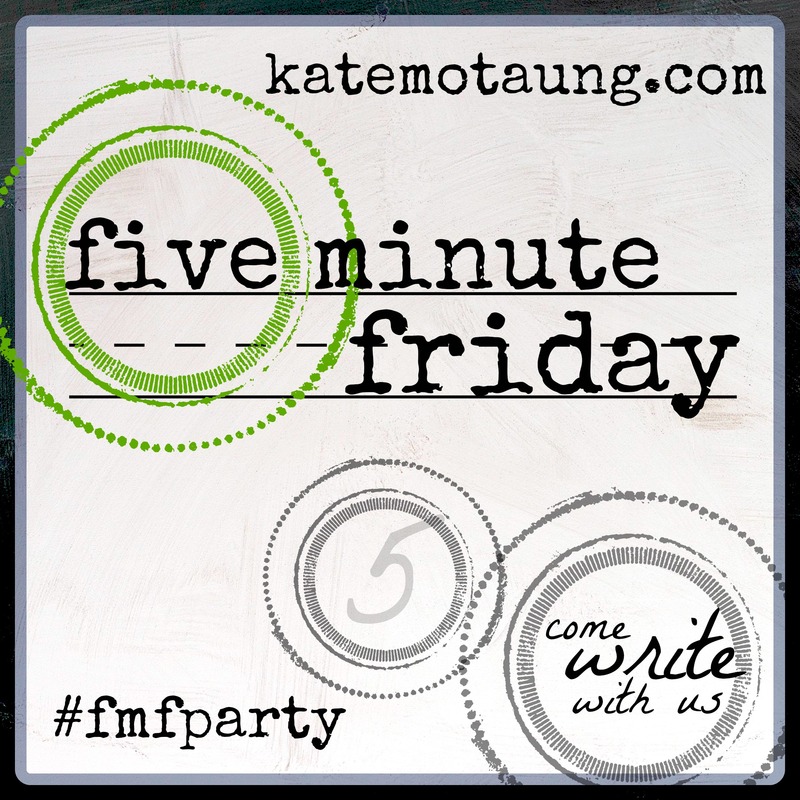 To participate in Five Minute Friday, all you have to do is write for five minutes on the word of the week, post your words on your own blog, and link up the post at katemotaung.com or you can clock on the button above. The first thing that popped into my head when I saw the word truth was the scripture that tells us that Jesus is the way, the truth, and the life. That is so very true. I know I can trust God's Word to always tell me the truth because God cannot lie. Satan lies to us all the time. He tells me I'm a failure or that I'm not good enough or all kinds of negative things. But God tells me He loves me and that with Him I can do anything and that in Him I am enough. Now who am I going to believe? Satan, the liar or Jesus, who is the truth. 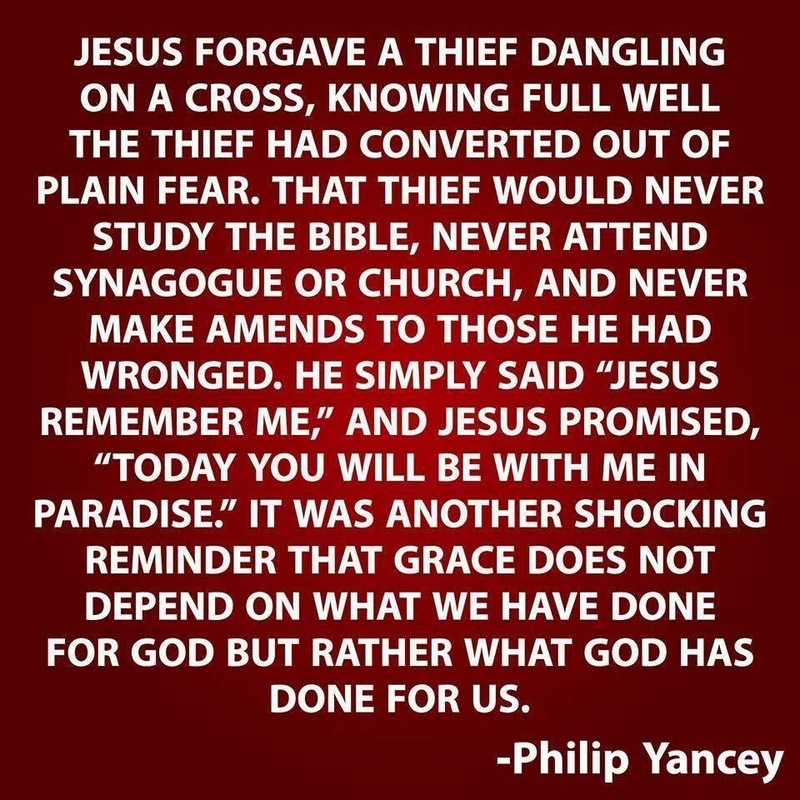 This day, I choose to believe Jesus. I hope you will too. Hi! Welcome to my Hodgepodge Post. Why not click the button above to join in with us. I'm a bit of a pack rat. I have lots of yarn and knitting-crocheting tools and quite a bit of scrapbook stuff. I'm thinning some of it out and trying not to let myself buy new until I use more of what I have currently. Well, I'm not much of a cook, so I should probably know better how to do that and maybe do our taxes. Sometimes I crave sugar, but I really probably lean more to salty stuff. I don't drink coffee or tea, so no I don't add sugar. There's really nothing that I add sweeteners or sugar to things. But I drink diet pop, so I guess I do use substitutes in them. We seldom ever do dessert when eating out. No I have not slain that dragon. It took me awhile to get into the whole cell phone thing. Now I can't be without it. There's a hymn called "I Am a Child of God." And I remember when I was little (sometime between Kindergarten and 2nd grade) having the metal roller skates that clipped to your shoes. I remember skating in circles in our garage and singing this song over and over. So now when we sing this song in church it reminds me of that time. I have few memories at that age so this is rather a fond one to me. Is anybody else watching this season of Survivor? What do you think of it so far? I'm still watching, but wow! Tribal Counsels have been pretty interesting! So much different that in the past. I'd still prefer to see a little less of the drama and a lot more of the challenges and rewards. Hubby and I had a really nice weekend. Saturday we slept in and I did some reading when we did get up. Such a great way to start the weekend. Then we got cleaned up and took a drive and stopped at a little hole in the wall restaurant and had some really good sandwiches for lunch. It was so good. Then we left there and went down the road to Cowan Lake and relaxed near the marina to watch the boats and God's created beauty. We were also watching a bunch of geese with their babies and some people fishing too. It was such a beautiful day. Not too hot and very sunny. Here's one picture a took with my phone. Unfortunately most of the rest of the pictures are on the camera and have not been downloaded yet. After that we ran to Kroger and got some needed groceries and went home. I baked a cake that evening to take to my sister-in-laws for Mother's Day lunch. Other than that we did a few chores at the house and then relaxed for the evening. Sunday was another gorgeous day. We had a nice service at church and I did my first ever live video on FB. I think it lasted all of 5-10 seconds. lol I can't believe I even did it. But I figured it would be a fun way to invite people to church. You'll have to go to my FB page if you want to see it, because I have no idea how to put it on here or if you even can. There should be a link to my FB in the sidebar, if you're so inclined. After church we went to my brother and sister-in-law's house and had a great lunch. Hamburgers and hotdogs on the grill and lots of sides and desserts. So fun being with family and friends. Unfortunately I was so busy eating and visiting that I didn't take one single picture. But the memories will be sweet. And that was pretty much my weekend in a nutshell. How was your weekend? I think I'd like to spend my five minutes telling you what a wonderful mom I had. My mom wasn't perfect, but she never failed to love me no matter what. 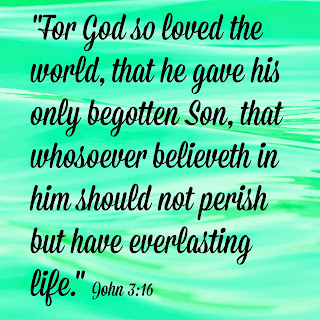 She also loved the Lord and taught us all to love Him too. She was an awesome cook and a wonderful entertainer of guests. Guests in her home always felt wanted and welcomed. I posted a picture of her and dad on FB and it was so interesting to read the comments from friends and family who talked about visiting and staying in their home and how they always felt so welcome. My five minutes are up, but I'm not quite finished. 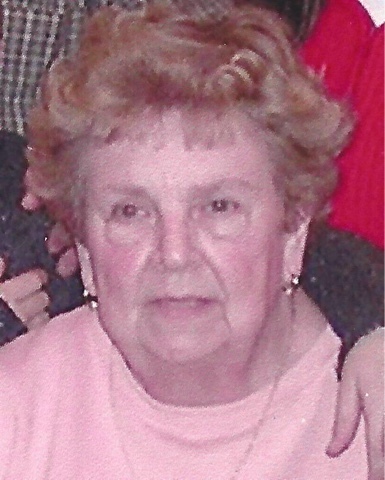 Mom passed away almost two years ago and I still miss her. Driving home from work the thought came to me to stop and see them or call, but they are no longer there. I sure miss her but I'm so glad she's not suffering any more and I know where she is and by the grace of God I will see her again one day. Thank you God for my wonderful mom.. I love you mom. I know this is really late, but I wanted to post anyway. This week I am thankful for Rebecca who hosts Thankful Thursday every week. I appreciate all her posts of thankfulnes. But most of all I'm thankful for her friendship and words of encouragement she is always giving me. She is a pure joy to get to know and I'm proud to call her friend. If you've never met her or read her blog, click here. Don't miss this opportunity to meet a true lover of Jesus and some who loves to laugh and has such a positive attitude about life. Thank you Lord for my friend and please continue to bless her. I think mom was always happiest when her kids were visiting. Mom and dad always stayed home on Saturday nights and any of the kids that were free usually stopped in. Sometimes all of us and the grandkids would be there and sometimes just 1 or 2 of us. But that kept all of us close, because mostly that was the only time we saw each other. The picture below is of mom and dad on Christmas Eve when we were all at their house. You can tell that both mom and dad are very happy. I sure do miss them. Saturday nights and Christmas will never be the same again. I'm going to answer this a little different. With being ill last year, I just want to say how much I appreciate every one of the nurses (and doctors) who took care of me. They were all so kind and helped me through some very scary places. I never had a bad nurse. They each one were such a blessing. Chicken Salad and it can be on bread or lettuce. But if on bread, I prefer a croissant. I was in 4th grade and we lived in an old remodeled house in the town I currently work in. We had a little black dachshund and I took piano lessons. I really can't remember anything specific though at that age. I can't even remember my teacher's name. My sister and I went to see Chonda Pierce's new movie "Enough" last night. It was so good. Here is a video of the song she sang at the end. So much truth and so wonderful to know that we are enough in God's sight. I should get up and get ready for work. Instead I'm sitting here writing this post on my iPad. It seems to me that I spend a lot of time thinking about what I should be doing. And then I feel guilty because I'm not doing it. Maybe it's time to quit thinking about it and just do it. But really, who decides what I should be doing except me. So instead of sitting around feeling bad because I should be doing something else. Why not enjoy what I am doing? Does this even make sense? Now I've got my post written and no guilt because I enjoyed doing it and now I still have plenty of time to get ready for work. Books - I'm finally getting back into reading. I finished reading the book, "Danger in the Shadows" by Dee Henderson. Loved it. I'm listening to a book called "The Hawaiian Quilt" by Wanda Brunstetter. It's really good too. I've got several more in the wings to start. Just gotta make up my mind which to start. Esther - I just read the book of Esther in the Bible. One of my most favorite books of the Bible. Our bird feeder - I'm so enjoying watching the birds eating. Mostly we have little brown birds but from time to time we have a red headed woodpecker. He is so pretty. God has created such amazing creatures. This is the best picture I've been able to get of him so far. I think he's too big for the feeder, so he hangs off it like this. 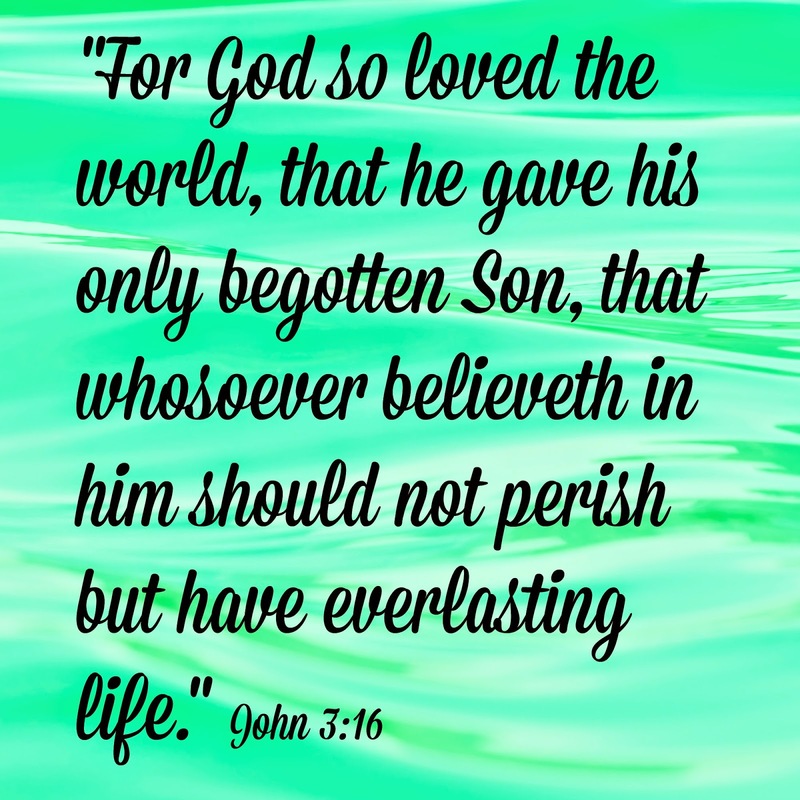 Scripture - I'm so thankful for the truth of this scripture. Click the button below, if you'd like to read other thankful lists or if you'd like to link up with one of your own lists. Yes, I like Mexican food. I like Quesadillas, burritos, tacos chips and salsa, also chimichangas. I like refried beans and rice. I prefer my food mild. I have no plans to eat Mexican that day. But you never know. I had it twice last weekend. No, I've never been to Mexico. I wouldn't mind going but don't have a great desire to. I took three years of Spanish in high school and know a little, but not much. I plan to buy some flowers for the yard and hope to get our mulch done. I'd like to see them bring in more franchised businesses. No, I have no interest in serving in a public office. I do not get Twitter. I watched the original 3 movies, but have not gotten into the recent ones. I'm probably about a 3 or 4. My 4th post was in September, 2008 and was about joining Weight Watchers and starting to try to lose weight. Obviously, I didn't totally succeed because I'm still overweight. I suppose I visit it from time to time and I hope to one day actually succeed. Wish you could smell these lilacs.